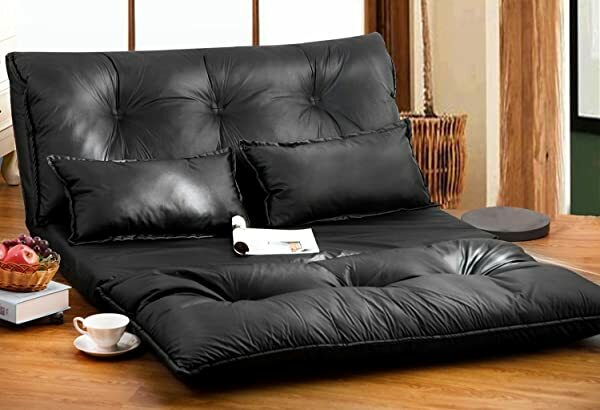 With summer approaching and quite a few guests staying over, I thought a cheap leather sofa bed would fit our needs well. We figured instead of cramming in another single bed in the guest room, a sofa bed would provide extra seating in the fairly spacious living room, with the added option of converting into a bed for those overnight guests. Although we didn’t want to spend much, and wanted a cheap sofa bed there were a few things we wanted from our purchase aside from a limited budget. We didn’t want one that looked bulky and compromised on style, seating room or comfort. The other requirement was a reasonably comfortable support when rolled out to sleep. It should provide a good night’s rest or else it would defeat the whole purpose of buying it. The 5 were the best options I found, ticking the boxes for looks and comfort.